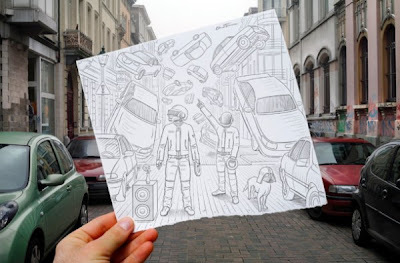 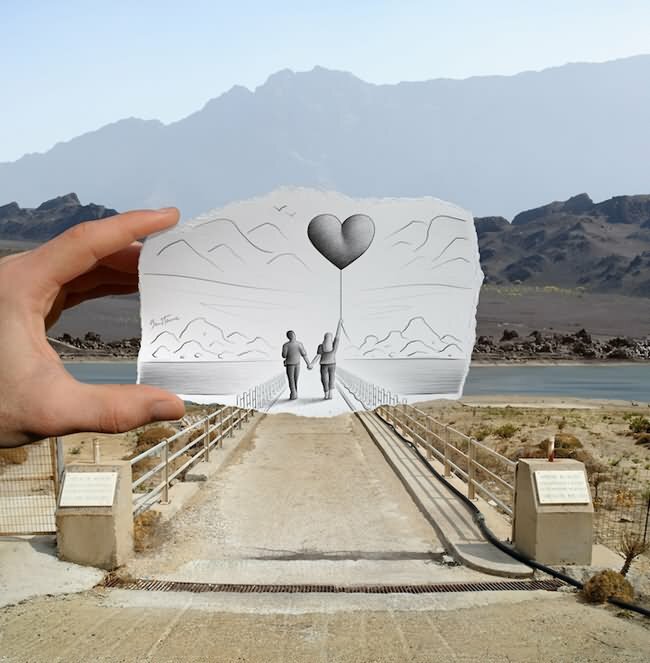 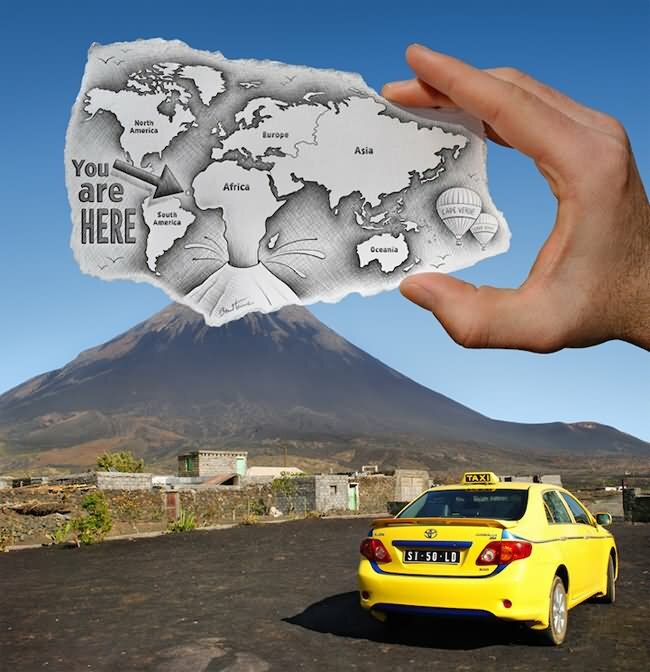 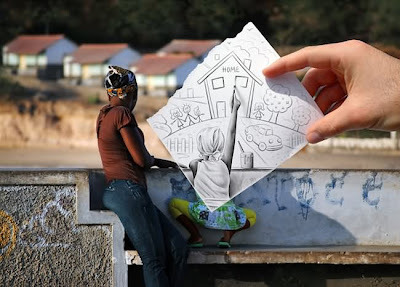 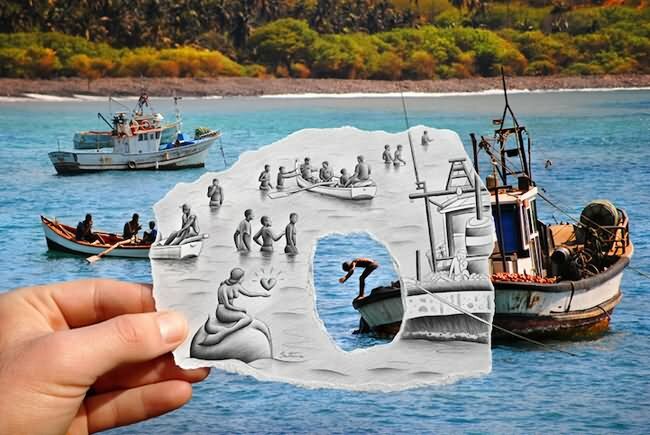 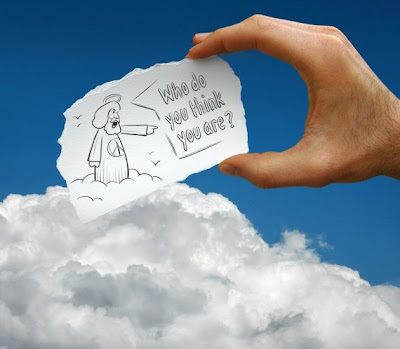 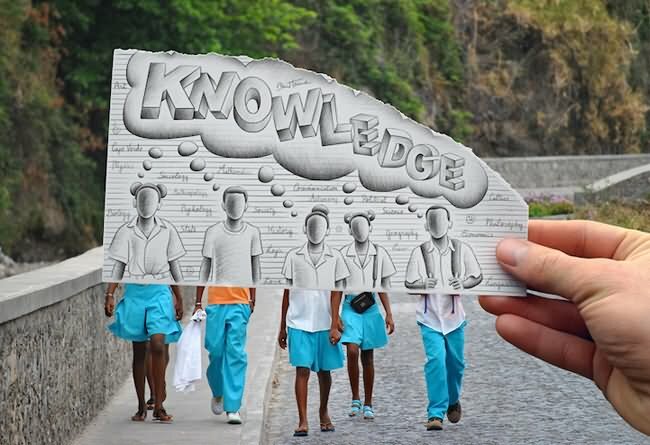 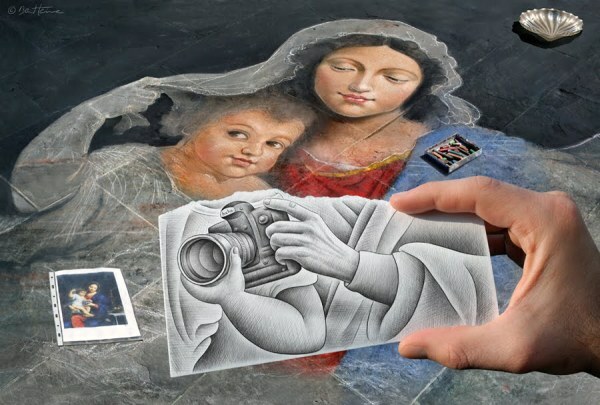 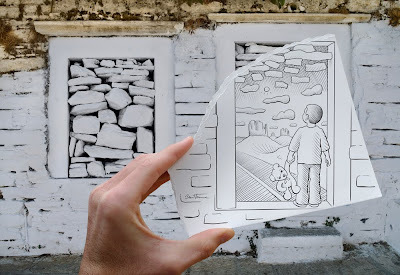 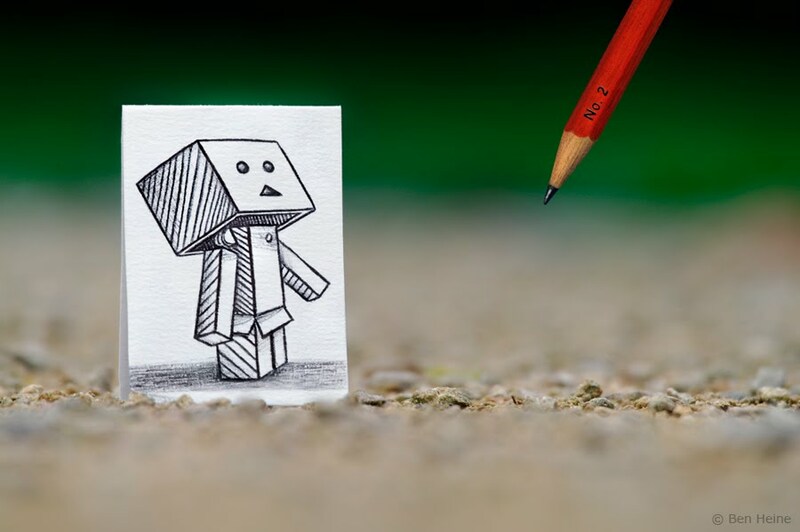 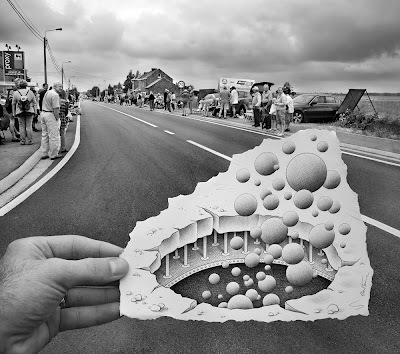 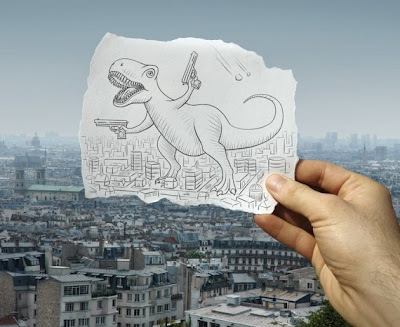 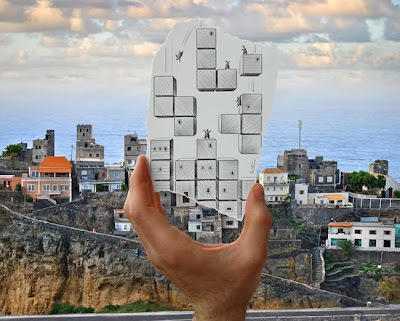 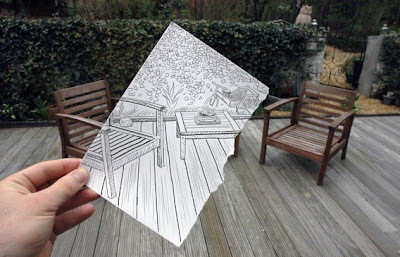 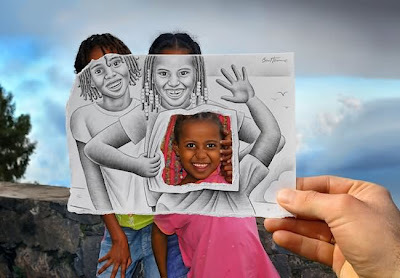 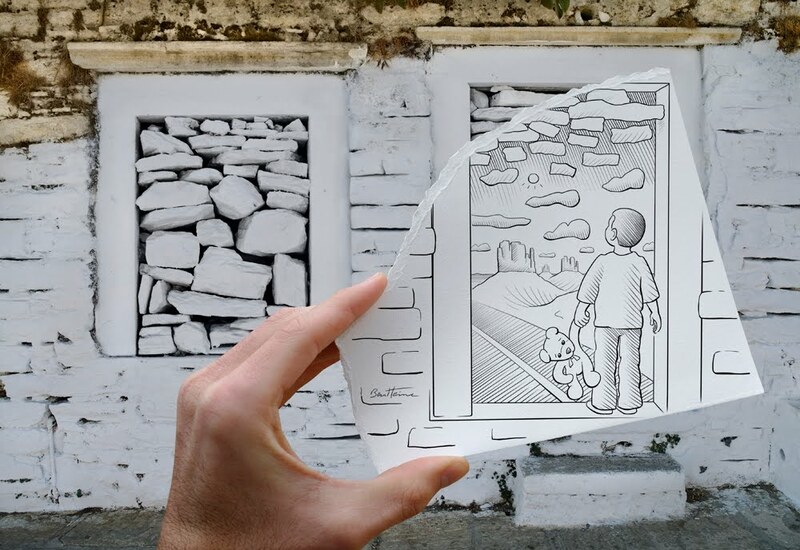 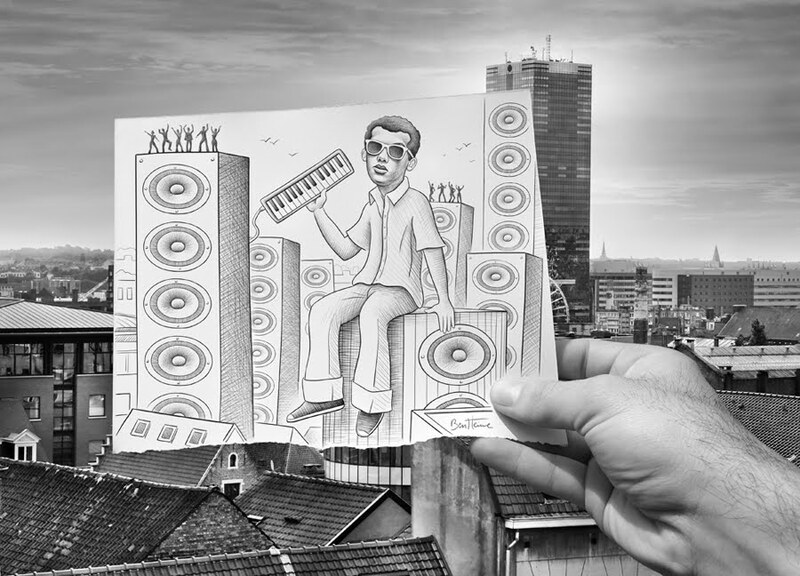 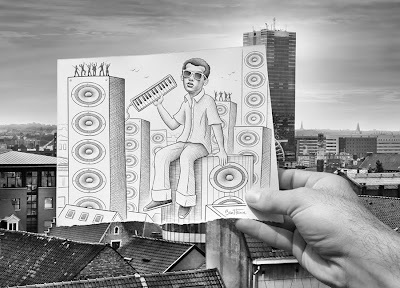 Ben Heine is back with a new collection of imaginative art from his Pencil vs. Camera series. Just recently, Heine made few pieces for the Art Official Concept, an art gallery in Cape Verde, West Africa. 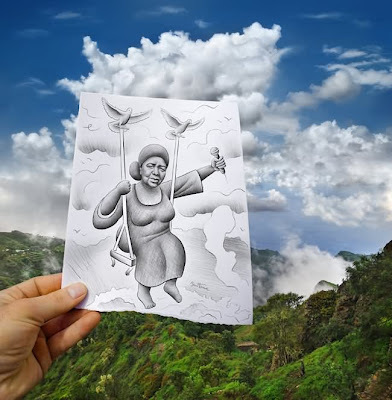 The Republic of Cape Verde is an island country, spanning an archipelago of 10 volcanic islands located in the central Atlantic Ocean, off the coast of Western Africa. Though tiny in area, the islands have beautiful landscapes including barren flats, verdant valleys, and a single volcanic peak whose slopes are streaked with rivers of frozen lava.